Two hundred Kroger stores are in line to go digital in 2018 with a new technology that digitally displays product pricing, nutritional information, and other pertinent information on store shelves. As shoppers walk down the aisles, Kroger Edge will light up underneath products where paper price tags currently line shelves. 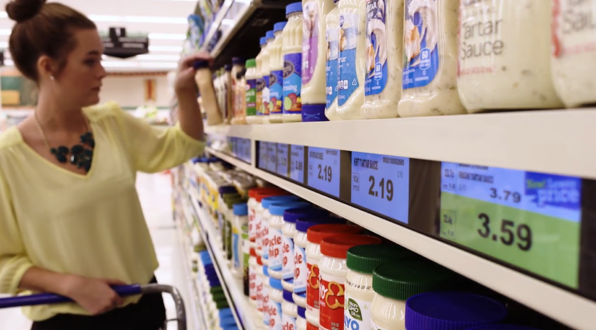 Tested recently by Kroger employees, the digital technology will help customers identify specific brands on their shopping lists and filter products for dietary restrictions. In addition, Kroger will be able to instantly change prices and activate promotions, rather than using employee resources to make these types of changes. Kroger Edge has already been installed in several stores where customers can use a Kroger handheld device to interact with the system. Future plans include Kroger developing an app for customers to access the system via their smartphones. As Kroger Chief Information Officer Chris Hjelm confirms, "It's an exciting platform for a lot of future innovation.” Read more here.